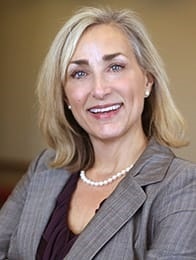 Liz Fraley has extensive experience litigating and mediating medical malpractice claims, professional licensing claims, business and commercial disputes, partnership dissolution, employment disputes, legal malpractice claims, products liability claims, premises liability claims, personal injury and wrongful death claims, and appearing on behalf of professionals before licensing boards. Fraley is of counsel with the Firm. Fraley has three children, twins Zach and Alex (24) and Katie (15), and is an avid runner and traveler.